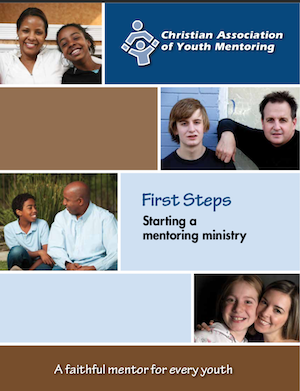 This booklet will take you through the process of determining if you should start a mentoring ministry and how to take the first steps. Christian Association of Youth Mentoring (CAYM) strives to develop and sustain mentoring ministries through training, materials and networking. As you go through this booklet you will learn how CAYM can help. Request a copy and we will email you a pdf of the booklet. After you review the booklet, you can contact us to setup a video conference to discuss how CAYM can help you get started. The chart to the left gives a five step overview and timeline of how we approach starting a mentoring ministry. Check out our services page for more details.